Z.S. 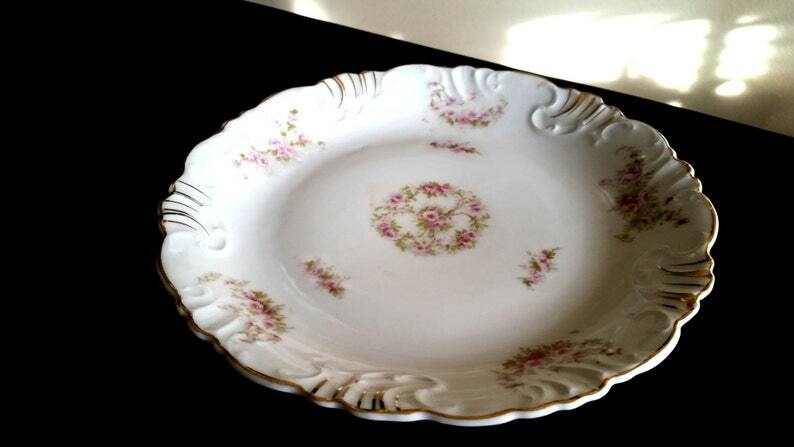 & C Bavaria Dessert Plate/ Hand Painted Gold Gilt Porzellanfabrik Zeh, Scherzer Co.
Z.S. & C Bavaria Dessert Plate/ Hand Painted Gold Gilt Porzellanfabrik Zeh, Scherzer & Co.
which was founded in Rehau, Bavaria, Germany, in 1880. Pretty little Tea Roses adorn this charming litter dish, ready to serve your guests delightful and delicious treats. Nice vintage KTK! As described. Secure ship. Would definitely purchase from again. Thank you!! Love the size of this beautiful jar. Came safe and sound because you packed it wonderful . Vintage, Antique Costume Jewelry, Retro Accessories, Shabby Chic, Collectibles.. I want you to be satisfied with your purchase, and have only positive feedback ! So please, lets communicate often with your questions and comments! ~Special Requests and Reserves: Your item will be held for 24 hours only, unless specific arrangements are made with our shop. Feel free to leave a good faith deposit, otherwise it is with our discretion to halt any sales.